This week started with Theresa May discussing her Chequers plan on Panorama, telling her critics that it would be her deal or no deal. In the wake of the EU rejection of Chequers at Salzburg, this week as saw a flurry of rumours about Cabinet efforts to convince the PM to cut a Canada-style trade deal (as proposed in this newsletter last week). Sources suggest that supporters of a free-trade deal now include Foreign Secretary and one-time Remainer, Jeremy Hunt, and the Brexit Secretary, Dominic Raab. The PM, however, continues to insist that she is not for turning. Hunt and Raab’s predecessors, Boris Johnson and David Davis, along with the indomitable Jacob Rees-Mogg, continue to promote a Canada-style option too, this week throwing their weight behind a report by the Institute of Economic Affairs trade expert Shanker Singham. The report calls on the UK to cast off anti-competitive EU laws, and embrace a prosperous future. There was plenty of Brexit chat this week from Labour at their controversial and confused conference in Liverpool. The prospect of the first general strike since 1926 was mentioned in the same breath as the ‘People’s Vote’, which had earlier in the week been endorsed by Sir Keir Starmer. Long-time critic of the EU, Corbyn was more cautious – saying he opposed any no-deal outcome, but remained firmly on the fence regarding a second vote. He hopes for a general election, but at the moment this seems an unlikely prospect. Meanwhile, in a coup for opacity and gravy-train enthusiasts across the continent, an EU court ruled that MEPs were not obliged to disclose their expenses to public scrutiny. BfB co-editor Robert Tombs and BfB contributor and philosopher John Gray, make an appearance in the The Times’ interview with historian Neil MacGregor. MacGregor, a fervent remainer, praises Tombs and Gray as “people of enormous intellects and integrity and moral engagement”, despite their disagreement over Brexit. Our other co-editor Graham Gudgin has been mentioned in The Financial Times, a rare event. Does this mean that the FT is weakening in its refusal to give publicity to criticisms of Treasury negativism over Brexit? The mention was in the context of a new report which claims that Brexit will fail to transform Britain into a global services powerhouse because geography matters almost as much to trade in finance, retail and other services as it does in goods. 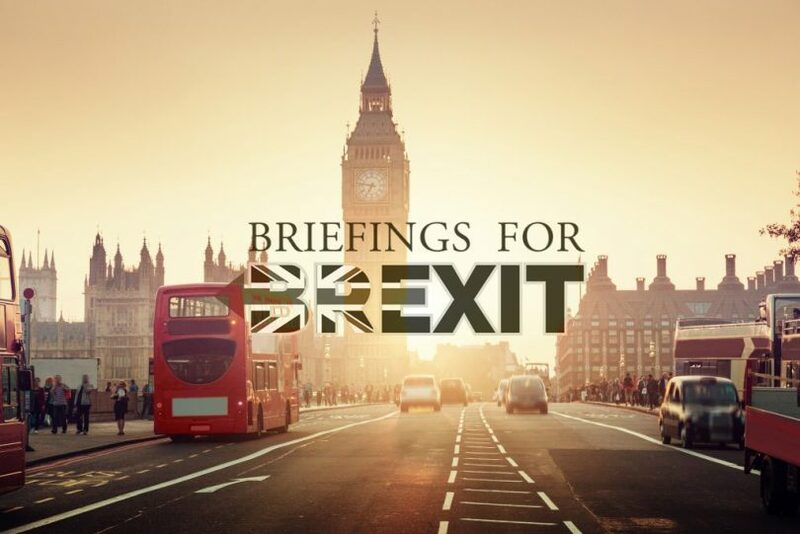 “This analysis has come under heavy fire from Brexiters, who say that officials did not apply their estimates specifically to British trade, which is much less affected by geography. The Belfast Newsletter (the world’s oldest English language newspaper in continuous publication) was receiving worried letters about ‘no deal’ and a second referendum. At the request of the editor, BfB co-editor and Cambridge economist, Graham Gudgin, has written a piece examining the issues and explaining how Brexit has saved the UK from the turbulent populism troubling other parts of Europe. The article can also be found on the BfB website’s news page. 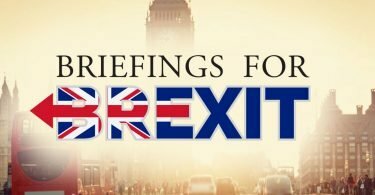 Professor Tombs introduces a dossier based on articles by BfB contributors suggesting alternatives to Chequers. Professor Tombs says that Chequers must be replaced and that efforts must be redoubled to find alternative means of achieving frictionless borders. “Chequers is in direct contradiction to what our citizens voted for in 2016, and, if carried out, would leave our country in a worse situation than before. Such an outcome would be an unprecedented national humiliation – something that extreme Remainers seem indifferent to, or even anticipate with unbecoming glee. It would also be a stunning defeat for democracy, again of a kind unprecedented in British history, as many former Remain supporters have come to realize. For it would mean that the choice clearly made by the electorate – not only in the Referendum (whose majority was large enough to have caused a landslide in a parliamentary election), but also subsequently in a general election – will have been nullified, and clear political commitments broken”. The full dossier ‘Preparing to Exit’ is on our Reports page. The dossiers explains what is in the Chequers Proposals and how ‘no deal’ would be preferable. 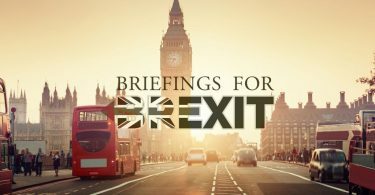 It also includes sections on a free-trade deal, a temporary introduction of zero-tariffs on imports and remaining within the EEA as a glide-path to the exit which would be preferebale to a two-year transition period. In an article for the British Medical Journal, Dr Graham Gudgin responds to a recent BMJ editorial which claimed that Brexit is ‘bad for our health’. He refutes accusations that per capita GDP (and hence public expenditure on health will drop in the long-term, and calls for the UK to improve domestic medical training rather than poaching doctors and nurses from poorer economies, in order to make up for any staffing shortfall. In an impassioned piece, Dr Ian Moody questions the sincerity of inveterate Remainer Gina Miller’s appeals to democracy, given the popular mandate for Leave, as well as the involvement of democratically elected MPs in granting the referendum and triggering Article 50. He also explains how the personal nature and moralizing bent of her attacks reduces the quality of political, moving discussion away from key issues that need to be discussed – a far more serious impediment to the democratic process than anything that she cynically decries.